I been getting a lot of questions on Facebook about the portable audio equipment I use and this is usually thrown in with requests such as what are the best headphones, what are the best earphones and what amp/DAC you should buy. Im always free to answer those questions all you have to do is get in touch on Facebook or Twitter with a rundown of what type of music you use, your previous experience with headphones and earphones etc and how much you are willing to spend. I have now wrote over 200 reviews on this site alone and have listened to nearly all the major gear on the market at some point in time after attending numerous trade shows and meets. I feel that this level of access gives me a fairly decent understanding on what different earphones and headphones can provide for others but at the end of the day, I am not you. Everyone has preferences whether it be to the way a headphone is tuned, how it fits or how far their budget can stretch. That said I would like to take a little time to tell you what audio equipment I use throughout the week and why. I don't consider myself the be all and end all there are a ton of great resources out there for you to find the best earphones that go into incredible depth and do a great service to portable audiophiles all around the globe. It should also be noted (If it isn't already apparent to regular Audiophile On readers) that I don't buy into a lot of hype that surrounds certain products that have recently hit the market. Additionally, some of my own personal headphone, earphone, amp, DAC and DAP equipment is chosen out of convenience rather than a focus on TOTL end game sound. That said I invite you to read on to find out what I use on a weekly basis and why. I don't actually like wearing headphones unless I am at home. I am pretty active and like to keep my portable audio setup fairly minimal, easy to pack and non cumbersome. However when at home there are to sets of headphones that I find myself alternating between. 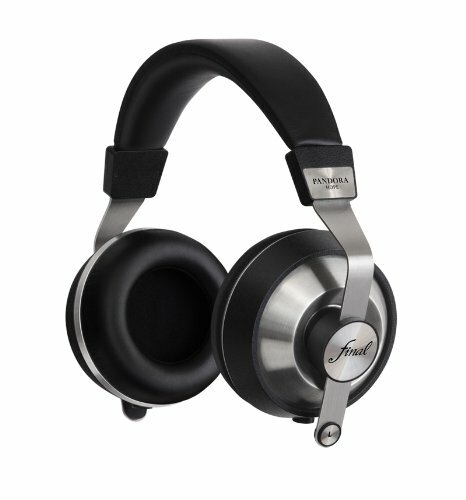 I have had the Final Audio Design Pandora VI for over a year now and nothing I have heard since has really caused me and significant thought on switching away from these incredible headphones. The Pandora are so incredibly easy to use from almost any source and they sound so damm good. The have a beautiful wide open soundstage and a real sense of intimacy that I find envelopes me in the music I am listening too. The are also incredibly versatile when it comes to working with a range of genres. Yes they are pretty big but I find the pads to be very comfy and air circulation to be great for listening to these headphones during mamouth listening sessions. The Kingsound KS-H3 are now my only set of electrostatic headphones. Up until that point I had been using a MK2 Stax007 electrostatic headphone and while I liked it, a lot, I felt that I just needed a little more push in the low end and boy did the Kingsound KS-H3 deliver. The sound is insanely detailed with just a hint of warmth. They are easily the most comfortable headphones you can buy, featherweight and with huge ear enveloping pads. Combined with the Kingsound M20 tube amplifier it is something I wish everyone could at least spend a day with. This is my true favourite setup right now and its jaw dropping resolution and soundstage are perfect for when I really want to enjoy myself. I have a lot of earphones. How many earphones do I actually have? Im going to guess about 50 plus lying around the house & office. I do most of my listening on earphones or earbuds and its more a choice of what I feel like on any particular day. If its the gym ill use one earphone, flying probably customs and Ill also choose my set for the day depending on how the earphones will match up with the type of music I feel like listening to on that day. Here are my favourites. I make no bones about it RHA are one of my favourite earphone companies. At almost every price point they they have something well worth considering against similarly priced competition. 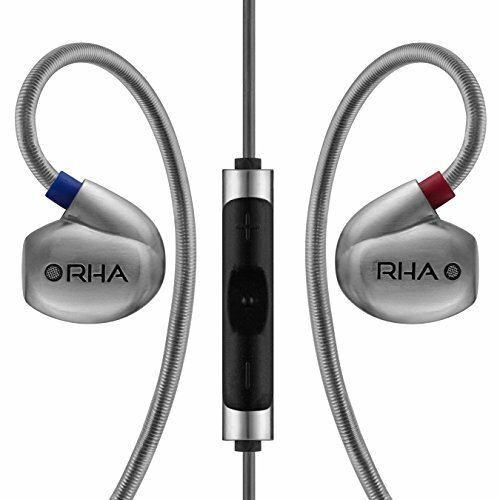 The RHA T20 and T10i are one of the best designed universal earphones ever made. They are rock solid in build quality and extremely comfortable to use for prolonged listening sessions. I usually grab tend to favour the RHA T10i when i need earphones with big soundstage and copious amounts of sub bass. They are the earphones I use to fuel my workouts and get me in a party mood. Campfire Audio are new on the scene from the folks at ALO audio and what an entrance to the portable audiophile hobby they have made. We did a full review of the Campfire Audio Lyra last month and have since gone on to name it as the best earphone 2015... its just that good. Sound is reminiscent of the old panasonic HJe900 however the soundstage is massive and detail retrieval unmatched for a dynamic driver earphone. The Lyra are my most used universal earphone and are with me most days. I have 8 pairs of custom earphones now and use 3 of them on a regular basis. Until last month I used the Mi Artist Pro earphones from UK custom earphone makers Minerva they are solid all rounders and have good bass for a multi BA setup. I also use (although admittedly less and less these days) the UM Miracle's. But for the past few weeks I have been really enjoying Custom Art's new Ei.3 custom in ear monitors and see them becoming my main Custom earphone for the foreseeable future. My stance on cables I have made abundantly clear on multiple occasions. Sound quality wise its all a big scam. Sometimes I think maybe its the cable but in extensive AB testing with multiple cables I have yet to hear anything significant that I cant for sure put down to placebo. The reason I do use custom cables though is twofold. Firstly I break a lot the standard custom earphone cables so why not upgrade to well made braided cables with a warranty. Secondly they look cool as f**k. I know thats gear whoring but why not shove a shiny set of spinners on and pimp your ride. All the custom headphone cables I use come from Labkable, they are pricey but the quality is second to none. Currently in the arsenal are the Labkable Takumi (Master Series), Labkable Blue Horizon, Labkable Silver Galaxy to name just a few. None. Thats right I don't feel the need for a dedicated audiophile DAP right now. I have a few lying around from Astel & Kern, Fiio, Colorfly and Ibasso but when on the go I use the Audioquest Dragonfly DAC Amp with my Nexus 6. Its small portable and sounds great. I might in the near future get one of the TOTL DAPs but you can sure as hell bet it wont be another AK device that I feel are ripping the arse out of consumers. The reason I might get something will be purely for meet up with fellow audiophiles but other than that I don't want to carry another large device on the go and at home I have a separate setup for listening. Ohh wait there is one DAP I use every day when working out, the Sansa Clip Zip. It is cheap, sounds good and is lightweight. Man I love the Dragonfly. 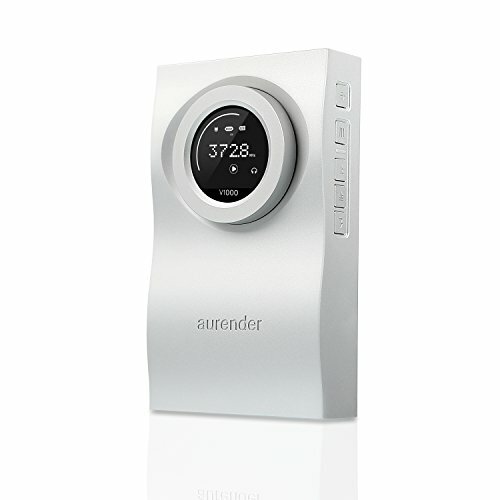 It has a sabre DAC inside and as such has some incredible sound quality for such a small device. Its no extra effort to take it with me on the go to use with my Nexus 6 and drives all my portable audio gear to sufficient levels. 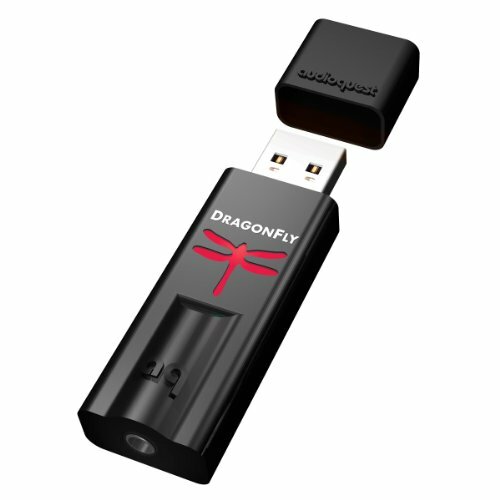 If you are looking for an alternative to carrying a cumbersome audiophile DAP then I highly recommend you get your hands on the Dragonfly. Sound is clean clear and detailed and there is a load of detail to be found that your current portable device may be lacking in. Im surprised more people haven't picked up one of the Aurender Flow DAC and amplifier's. This is a very high end device with TOTL sound quality that side by side I would say is on a par with Chord Electronics mighty Hugo. What i like more about and what made me stick with the Aurender over the Hugo was the easy of use and simplicity of the design. The flow is the perfect DAC and Amp to use with headphones on a desk. I love the big volume know the screen and the sound is just incredible this has to be one of my most recommended pieces of audio equipment. Most of the amplifiers I use nowadays are integrated with the DAC external DAC units but there are a few that I still use. Firstly I use a simple 02 amplifier at some point in most reviews. The unit I use for this is from JDS Labs. Its pure reference grade goodness and designed by the infamous NWAVGUY. Next up is a portable amp that I absolutely love from Firestone Audio called the Firestone HDB+ amplifier. I love it as it has a balanced input and output that I can use to test my custom earphones in balanced mode. A transport is something I consider to be something that carries my digital music files. In this case it has to be my phone and my laptop. Yes i do of course use the headphone out on both and they work just fine but if we are talking for fidelity I will use them with an Eternal DAC and Headphone Amplifier. I currently use 2 different phones right now the Blackberry Passport which is my trusty workhorse that also sounds incredible from the 3.5mm jack and a 64gb Motorola Nexus 6. I will be updating this in the next few weeks with Blackberries new Priv once I confirm external DAC support. My computer is the 13 inch Macbook Retina Pro with 8gb ram, 512GB SSD and 2.9ghz i5 processor I like it and it works well with most of my audio gear but there are times when something is not compatible and I wish I just had a straight Windows unit. Well there you have it my currently most used portable audio gear. Of course this list is going to be subject to change in the future as I inevitable get bored or find something better but for no this is some of the best sounding and practical gear I have found to date. In my opinion portable audio is not on a par with my speaker system (DALI Lektor 8 / Mangepan Electrostat) but in a portable package it comes damm close and always brings a smile to my face.